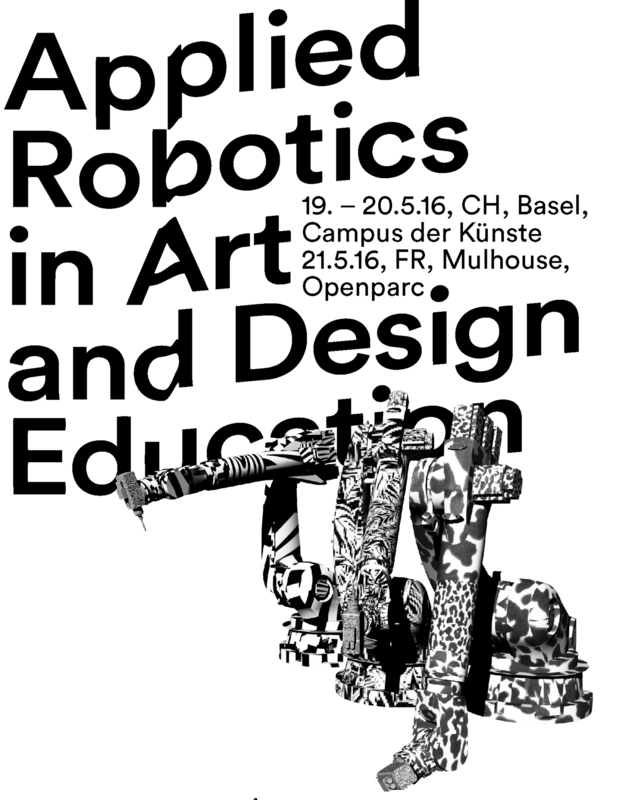 The focus will be on the benefits of robotics for the Swiss creative scene. We are looking forward to initiating this discussion with you, to learn more about applied research projects in this area and to share our initial results of experiments with industrial robots. We are still beginners in the field of industrial robotics, but we hope that our very first experiences may be of interest to our peers. We would be glad to meet at least one representative from all robotically interested groups at Swiss academies of art and design and exchange experiences and ideas. We are a team from the Institute for Postindustrial Design HyperWerk at the Academy of Art and Design FHNW. Our goal is to be able to use robots in the design process and explore them as design tools. We envision the production of design furniture, exhibitions and installations, experimentation in poster design and textile print, and getting into the broad eld of generative design. 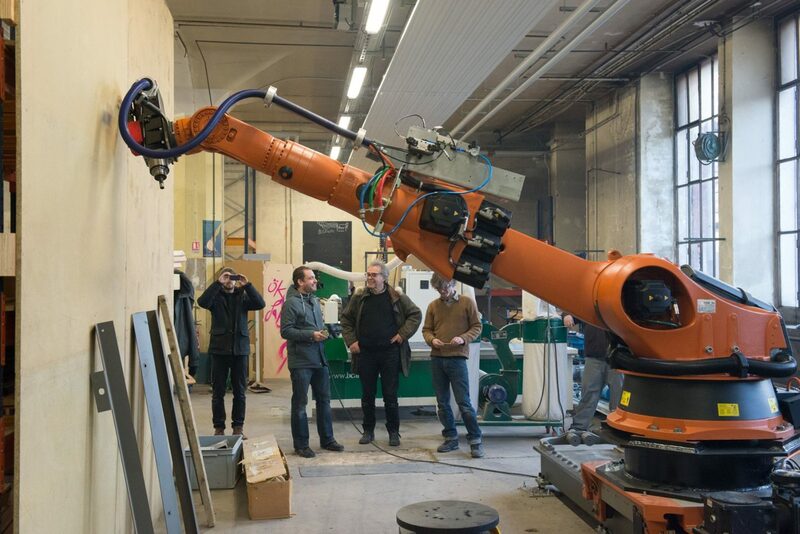 In architecture industrial robots have become both method and subject of research and parts fabrication. 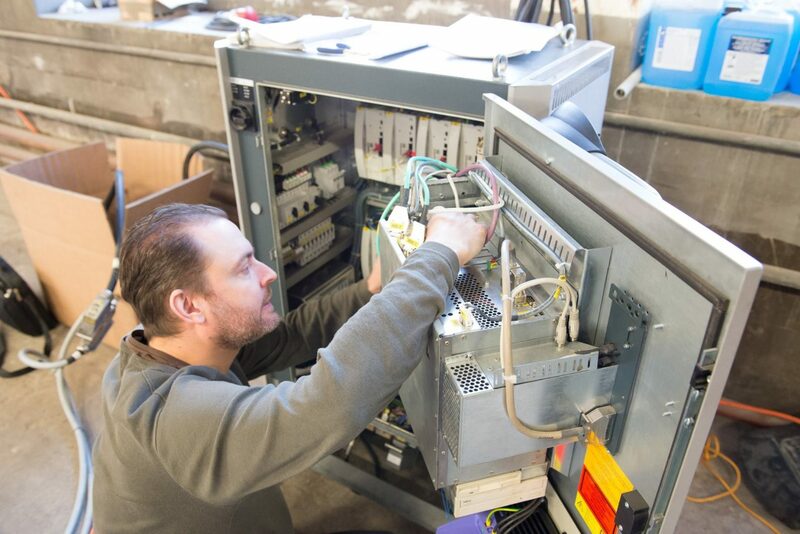 In the design area, there are only few similar initiatives for working with this technology. Robots are often described as universal machines – they accomplish in the real world what otherwise happens mostly digitally. How can we bring this enormous potential into the design colleges, agencies, studios and consultancies of the creative industry? 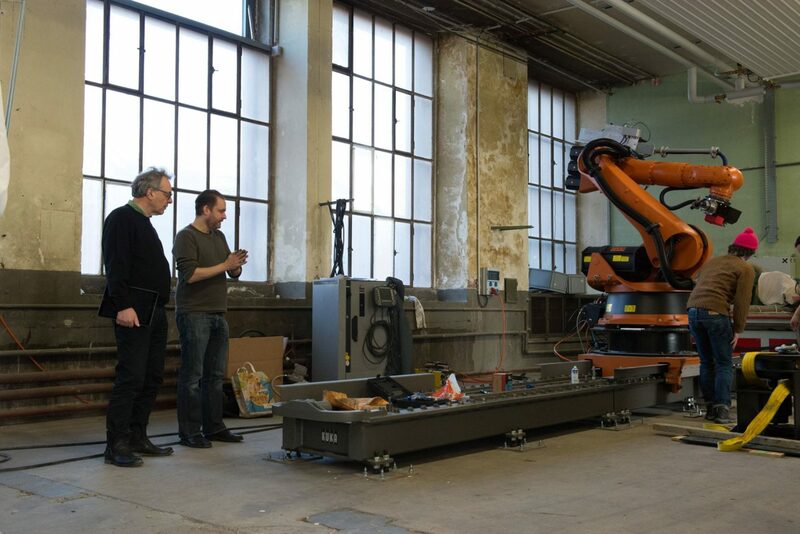 Since November we use a Kuka KR6 robot with which we test the possibilities, work processes and peripherals. We want to engage you in all the questions of the practical use and the euphoric anticipation of robotic technology. HyperWerk has outsourced the implementation of its robotic interest to its alumni assocation postup which runs its workshop in Mulhouse. There, we have taken delivery of a robot which will allow the milling of tree trunks. It can lift almost 300 kg and its arm has a range of nearly three meters. 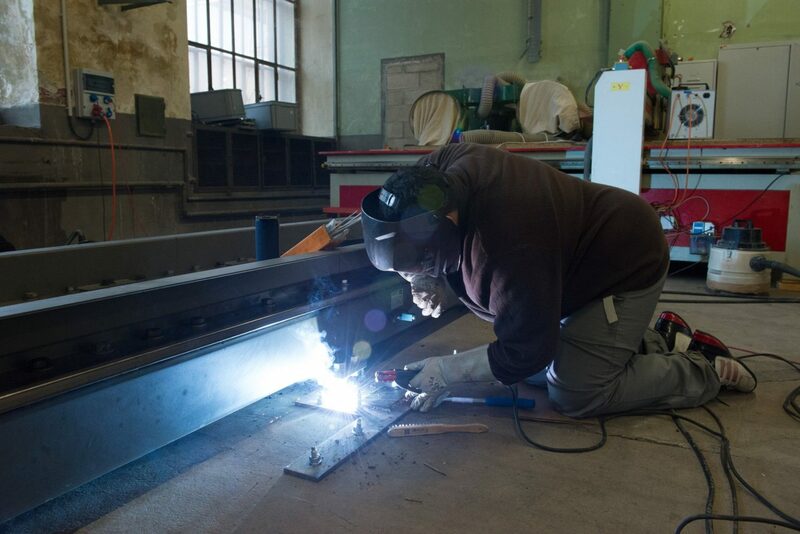 It is equip- ped with a milling spindle and a rotatory table, and it can move on slide along its 6.2 meter rails. What we want to do with it and what our di culties and unexpected opportunities are in dealing with such a system: all of this will be reported in this work session. On Friday, projects and strategies of the participants and their institutions will be presented in lectures and discussed in the conference room of HeK (House of Electronic Arts Basel). Forms of cooperation, research projects, start-ups and applications for funding will be discussed. On Saturday, we invite you to a trip to Mulhouse, to visit postup with its mil- ling robot and CNC workshop. Saturday is always market day in Mulhouse that alone is worth the trip. Just o the main square there is the bakery and café Spitz, also run by HyperWerk, a project to use bread as a cross-cultural medium of urban development in a problem quarter. We‘d love to read your response to our invitation. We would also be happy to know if you want to participate in the HyperWerk robot training on Thursday, 05/19/16, and/or in the postup trip on Saturday, 5/21/16. Should you have any questions or suggestions, please contact Daniel Nikles or Mischa Schaub.